Poco F1 is a smartphone which has changes the landscape in the affordable flagship segment. 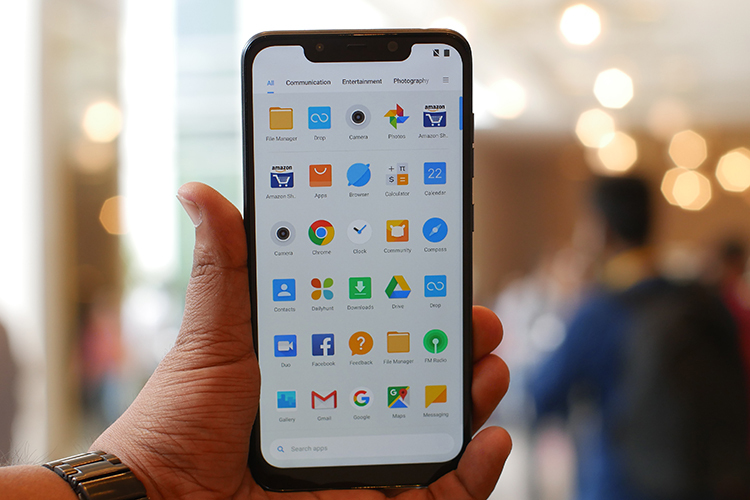 And to make sure that remains unaltered, the Xiaomi offshoot had promised at the time of the Poco F1’s launch in India that the device will receive an Android Pie update by the end of this year. And based on the information spotted by some netizens, Poco already seems to be in the testing phase for this update. A Poco F1 running Android Pie was spotted on the benchmark comparison platform – Geekbench – and first seen by MySmartPrice. 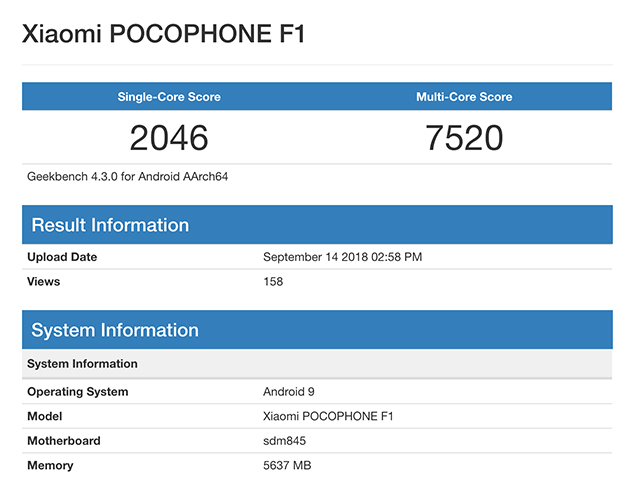 The 6GB variant of Poco F1 running Android Pie scores 2046 and 7520 in the single-core and multi-core tests of Geekbench 4. These scores are much lower than what I had achieved while reviewing the Poco F1 but close to what we noted in case of MIUI beta, which was recently released for the Pocophone. Hence, the score could either be because of insufficient CPU management on MIUI 10 or poor optimization of the Geekbench 4 app on MIUI 10 (I feel latter is the case as AnTuTu benchmarks say otherwise). It is also possible that this could be due to custom ROM but since there’s none available online yet, the chances are lean. Xiaomi recently started testing Android Pie-based MIUI 10 on Mi 8 and Mi MIX 2S and the build will be evaluated on different devices to weed out bugs, and then rolled out over the beta testing channel, which is when we would be able to test it. For now, it is difficult to predict when would we actually be able to have this update at our hands, but looking at the New Year eve’s deadline, I think there shouldn’t be a long wait. As of now, if you want to test some of the features that the Android Pie update will be sharing with Oreo, you can try MIUI 10 global beta which was recently rolled out for the Poco F1 and improves its performance. To check out all the great features that Android Pie will bring to the table, you can take a look at this video.